Hana's third litter was born in June 2003. Dad is Rumble; this is their first litter together. 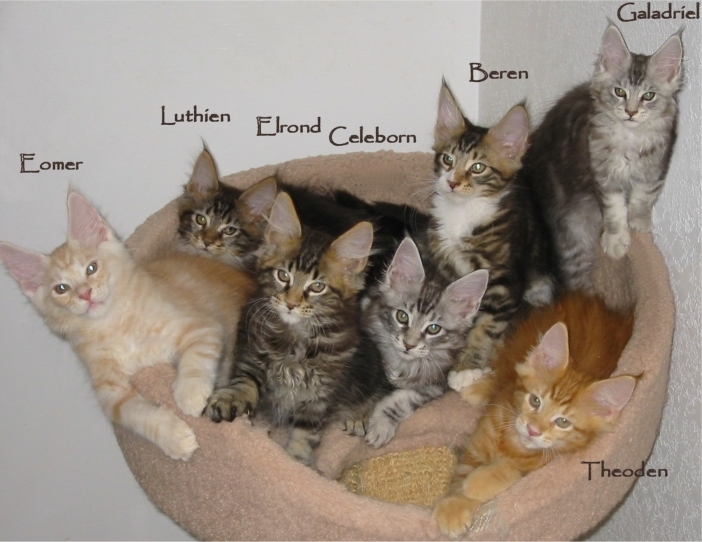 They had seven kittens, named after characters from Lord of the Rings. 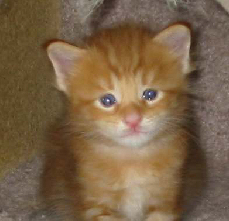 The little mite at left is Faramir, a red tabby male, pictured here at about 4 weeks of age. A brown tabby male, "Elrond"
A silver tabby male, "Celeborn"
A silver tabby female, "Galadriel"
A brown tabby and white male, "Beren"
A brown tabby and white female, "Luthien"
For more photos and a description of each kitten, click its name or image above.